When Metric issues its fourth full-length studio album, Fantasies, on April 14, it won’t be through just one label. Last Gang Records, the Toronto-based company that released 2003’s Old World Underground, Where Are You Now? and 2005’s Live It Out, will handle distribution in Canada, and another Canadian label (Arts&Crafts) will release the album in Mexico. Meanwhile, Metric has hired its own staff to handle release and distribution in the U.S., the U.K., Europe, Japan, Australia and New Zealand. Perhaps fittingly, Fantasies is an album that defies labels. Emily Haines and Co. are back in true electropop form, but punk, psychedelia and disco influences have also worked their way into Fantasies. The album’s first single, “Help I’m Alive,” is a dreamy piece of synth pop that’s already become the band’s biggest radio hit in Canada and is quickly approaching gold status on iTunes. 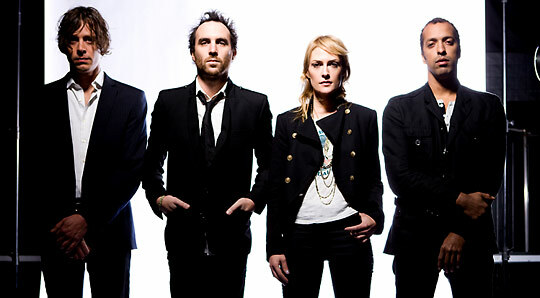 Metric will embark on a U.S. tour in June. Fantasies tracklisting after the jump.